This entry was posted in Uncategorized by Rorthron. Bookmark the permalink. Looks great… I don’t know how you keep going, given the shenanigans you’ve been dealing with pal!! Really appreciate the effort!! That’s a good start indeed! I remember the Forest of Thrall had become the Lake Thrall, and a river flowed into it from Herath. Then I spent ages trying to figure out a way to have a bridge across the mouth of the river – never did find an acceptable solution. I can’t remember if the Citadel had bridges across its rivers or just shallows where armies could cross. I’ll be most interested to see how you tackle that aspect, and also if you find a more effective way to smooth the land/water edges than we did. The problem is movement. When you move forward or turn, the movement of the terrain causes issues with the blended floor. If I did a snap/cut like the original I could smooth everything up nicely. I hadn’t thought of the movement. M/MU only has the flip-view as with the original, so it gets away with patching the rough edges, but that won’t work when you have animated movement. 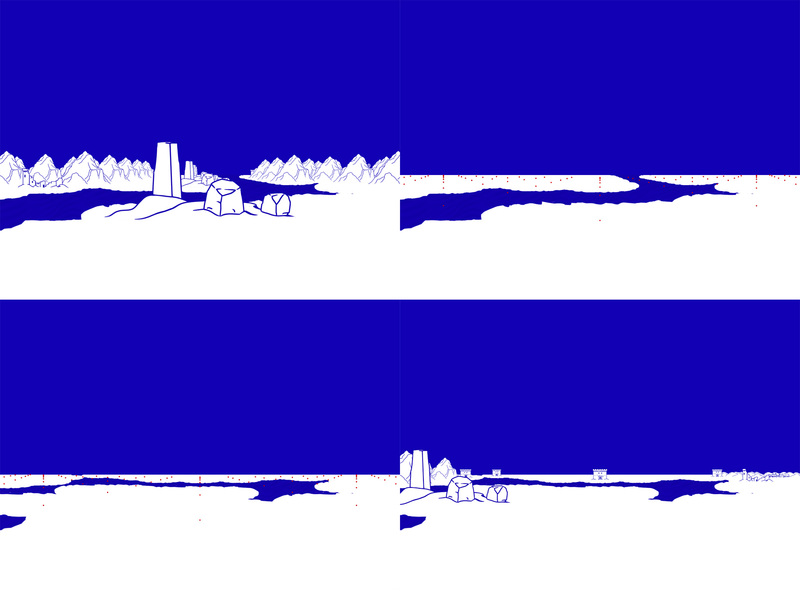 The rest is pretty much the same as M/MU, water first, then the ground, then the terrain billboards. In fact, the water in M/MU is just a surface layer under everything else – this allows for a wave pattern, but also has limitations.